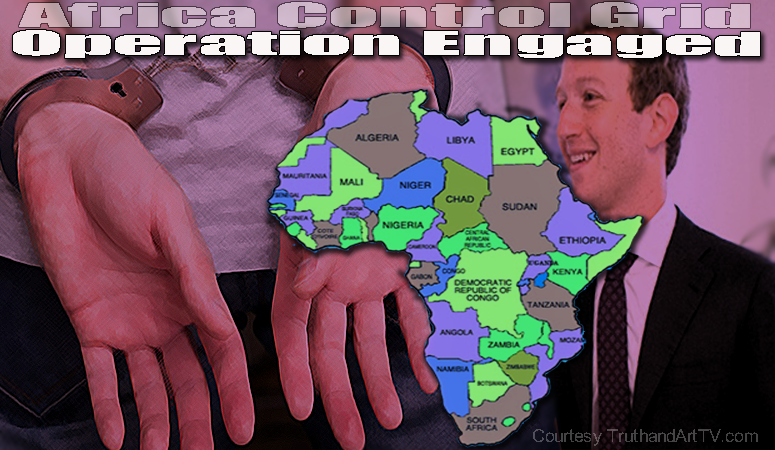 Why is Facebook's Mark Zuckerberg all of a sudden so concerned about Africa that he's not only dumping tens of millions of dollars on numerous "African Initiatives" in 2016, but he's even personally traveling to many African nations to see to it that these agendas and initiatives get done? Doesn't that seem a bit odd? Posing throughout 2016 as a noble, warm-hearted philanthropist who supposedly cares so much about the African people that he wants to build up their internet connectivity and much more, Zuckerberg is bouncing from country to country like a man on a specific mission. But given what we know about the emerging new world order and the model of rampant corruption, greed and corporatism we must look at all of these recent developments with a suspicious eye. There you have it. Zuckerberg is dumping money in every direction throughout Africa setting numerous countries up with technology, schools and his personally funded infrastructure for free internet access and information which will create increased employment. All of this sounds great but what they are not mentioning is that all these investments will give Zuckerberg a lot of power, influence and control in Africa. Also not mentioned is that this will provide a pipeline to feed Western mainstream media "information" and indoctrination to the people of Africa and that this will allow the establishment and completion of the global electronic control grid that is being slowly constructed in Africa. This construction of the African continental internet-informational and technological control grid is absolutely required for the new world order blueprint (i.e. Agenda 2030) to be fully implemented. Therefore no one should be fooled by this very intense effort Zuckerberg is putting into "saving" African nations by donating so much of his money, time and effort there. If Zuckerberg really cared about humanity and the African people he would help them mass produce their own organic foods, he would fund farms and help with water supplies to make sure not one African child goes to bed hungry. Instead this is all about pushing Agenda 2030 and getting Africa technologically up to speed in order to connect them to the global control grid. It is a solar-powered unmanned aerial vehicle (UAV), designed to provide settlements in developing countries with Internet facilities. This is the same criminal Pope, mind you, who has been a pillar for the ruling elites globalization plans forcing global government political propaganda into his messages for the ears of the 1.2 billion estimated Catholics worldwide. From his support of Agenda 2030 to his support of the global warming lies, global carbon taxation on the little people and as I pointed out earlier this year, he even chimed in supporting the lies about Zika virus suggesting Catholics should consider birth control as a means to combat Zika, something ordinarily unheard of in the true Christian faith. But I digress. Not surprisingly, Zuckerberg's efforts are easily painted in a positive way. In this CNN article Zuckerberg is painted as the ultimate caring philanthropist giving away "99% of his Facebook shares" to charitable causes. Instead of cigars, Facebook cofounder and CEO Mark Zuckerberg is celebrating the birth of his new daughter by pledging to give away 99% of his Facebook (FB, Tech30) shares. The money will be dispersed through the Chan Zuckerberg Initiative. The organization will focus on four key areas: personalized learning, curing diseases, connecting people and community building. Zuckerberg and Chan are not the first billionaires who have promised to give away most of their fortune. They have joined the Giving Pledge, a pact by billionaires including Warren Buffett and Bill Gates, to give away half or more of their money to charity. So in a world where the ruling elite meet in secret and have long ago stated their goals and determination to have a technocratic totalitarian global order, individuals like Zuckerberg find themselves in a win-win situation posing as loving and caring philanthropic "saviors" looking to just help humanity all the while playing a critical role as one of the architects of this new world order. And deceptively, the "caring and loving" angle is the only angle they will present to the youth to get them to jump on board and donate to these philanthropic seemingly benevolent efforts. To understand the future one must look to the past and the past shows us that the ruling elite don't do things because they care so much about humanity. There is nothing benevolent about the coming global order of enslavement where the ruling elite will answer to no one and the little people's voices will be silenced forever. Their goal eventually is to have everyone in Africa walking around like zombies glued to their cell phones just like all the zombies in America. They also want to be able to track and surveil the people of Africa, get them hooked on free internet and Facebook and establish their digital identities online which currently doesn't exist. In other words, they want to be able to control the people of Africa and include them as players in the new world order digital grand chessboard which is a huge step towards the goal of a cashless global society. This is the ultimate goal, NOT feeding the hungry and tackling poverty. This 2-sided deception unfortunately is the era in which we live. An era where philanthropists like Zuckerberg, Bill Gates, George Soros and other members of the 0.1% elite get to personally fund and personally engineer segments of the new world order they want to control, monopolize and have major influence over. This technique is generally known as "pay to play" and this is exactly what we are seeing here. It's the nature of plutocracy and we are getting a front row seat to this process.